We do not divide projects into more and less important ones. At the moment of execution, every order, even the smallest, is our most important one. We prepare ourselves for each task with the utmost care and professionalism. Thanks to our presence on the construction site you can forget about any problems related to the logistics and coordination of our range and other areas at the interface with raised floor. Your investor will love you for the raised floors we deliver and install. TIM-EX company provides a comprehensive service for each and every investment, with modern products and a team of specialists who have been working in the field of raised floors for years. 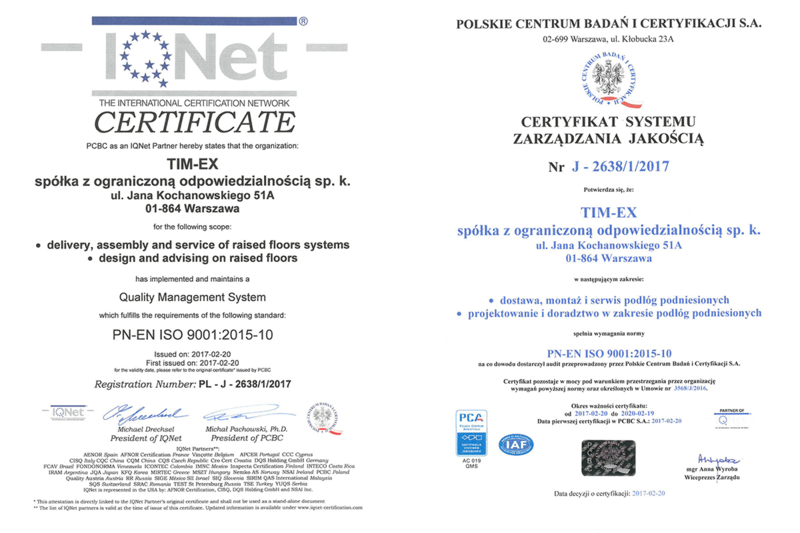 TIM-EX is a supplier and contractor of raised floor systems, and has been operating on the Polish construction market since 1990, offering top quality products – raised access floors and hollow floors by renowned European manufacturers, including Belgian Jansen Products NV, German Knauf Integral and Italian JVP. TIM-EX offer includes both traditional chipboard raised floors, as well as modern, high quality, non-flammable raised floors made of integral gypsum. Thanks to reliable technical knowledge and many years of experience, TIM-EX ensures professional advice and assistance, from the design stage to efficient workmanship based on the best assembly groups. 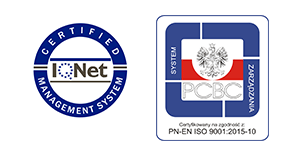 Our individual approach, combined with flexibility and engineering knowledge, allows us to develop optimal solutions and meet the expectations and requirements of investors. Our achievement as a company has been the delivery and installation over 1,800,000 m2 of raised floors in buildings all over the country. Our showpiece is the construction of a raised floor of integral gypsum with an area of 50,000 m2 in the RONDO 1 office building in Warsaw. Our professionalism, innovation, experience and entrepreneurship are appreciated by many institutions, as evidenced by many awards we have received.